David C. Williams | The Barristers' Association of Philadelphia, Inc.
David C. Williams is a partner at the law firm of Kline & Specter, P.C. David represents catastrophically injured individuals, as well as clients pursuing claims under state and federal False Claims Acts and federal whistleblower programs. David has served as co-counsel in personal injury and whistleblower cases that have resulted in multi-million dollar settlements and verdicts. He has been recognized as a Pennsylvania Super Lawyer – Rising Star every year since 2013. 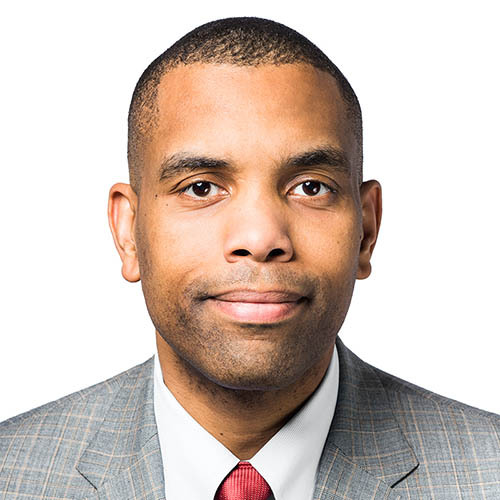 David graduated from the University of Pennsylvania Law School, where he served as president of his class and as Vice President of the Black Law Students Association. While at Penn Law, David interned with the Civil Division of the United States Department of Justice, Federal Programs Branch, with the High Court of the Republic of Botswana, and with a large international law firm based in Washington, D.C.
David earned his undergraduate degree in international relations from the United States Military Academy at West Point. After graduation, David served in Iraq, Bosnia, and Germany. He was awarded the Army Commendation Medal for meritorious service during Operation Iraqi Freedom II.